Do you know Alaena from Grazed and Enthused? 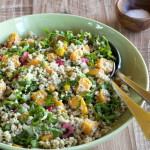 She's one of my favorite AIP bloggers, creating recipes that are quick, flavorful and nutritious. When she decided to write a cookbook, she reached out to her friend Sarah Ballantyne for advice. 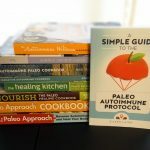 The truth is, it's hard to break into the paleo cookbook market now. There are a stable of bestselling authors that each produce about a book a year, and publishers don't necessarily want to take a risk on someone new. Sarah Ballantyne (aka The Paleo Mom) is the bestselling author of The Paleo Approach and The Paleo Approach Cookbook. She liked Alaena as a friend and admired her talent as a cook, so she suggested they partner up and create a cookbook together. They both said it would either make or break their friendship. It made it, and this is the result! 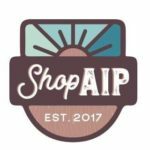 Written By People Who Know The AIP Inside and Out. 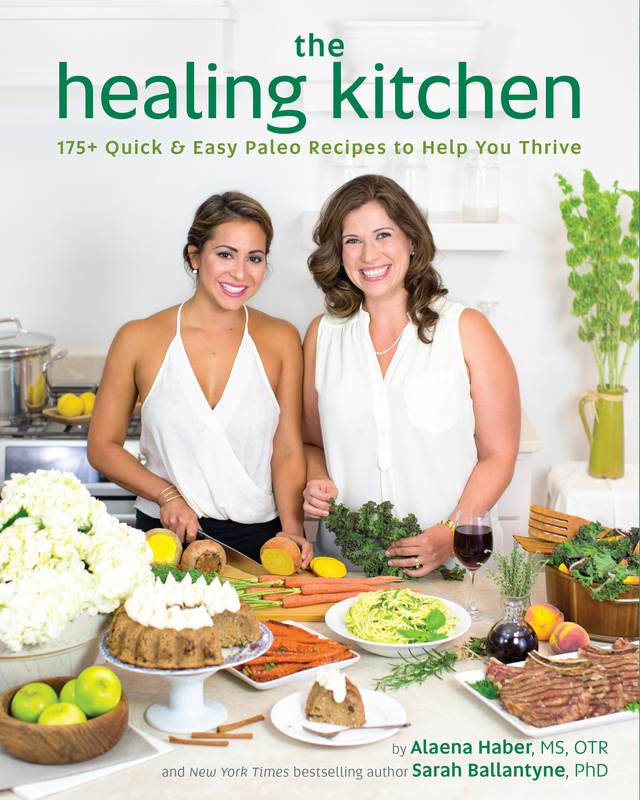 Both Alaena and Sarah have autoimmune disease themselves and have used the paleo autoimmune protocol to reverse their symptoms. That means they know what it's like to have to give up favorite foods, and they've created recipes so good you won't miss them. Not only that, but Sarah is the AIP leader in charge of this protocol, so you can be sure that every recipe is 100% AIP. If you'd like to hear more about their personal healing stories, Sarah shared hers in Episode 3 of my podcast and Alaena in Episode 11. 175+ Recipes and 90% Are New. While a few recipes are popular ones from their blogs, over 150 were created exclusively for this cookbook, and Alaena's love of global flavor shines through. Here are some highlights: Pumpkin ‘Chili', Speedy Shanghai Stir-Fry, Mojo Pulled Chicken, Garlicky Greek Lamb Skillet, New England Clam Chowder, Prosciutto & Fig Bistro Pizza, West Coast Burritos with Cucumber Pico de Gallo, Caribbean Plantain ‘Rice', Spicy African Kale, Comforting Breakfast Casserole, and Friendship Cake with Whipped Cinnamon Honey Frosting. Are you getting hungry? 12 Weeks of Meal Plans. A key to success on the AIP is always having healthy food available so you aren't caught hungry and tempted by forbidden foods. Meal planning takes care of this, and this cookbook has a wonderful variety: a one-pot meal plan, a “5 ingredients or less” meal plan, a “20 minutes or less” meal plan, an “on the go” meal plan, a kid-friendly meal plan, a “leftovers reinvented” meal plan, 2 batch cooking meal plans, and 4 general meal plans. Talk about covering all the bases! 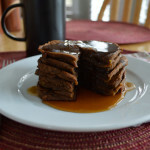 Batch Cooking Videos to Go With Those Meal Plans. Link provided on page 102 of the book. Helpful Recipe Notes. Recipes comes with tips for prepping ingredients ahead, storing and reheating, ways to change up the flavors, and serving suggestions that pair complementary recipes together. Budget-Friendly: You won't find lobster or filet mignon, or some of the pricier AIP specialty ingredients in this cookbook. Rather, you'll find flavorful variations for a wide variety of ground meats and slow-cooked roasts, along with budget-friendly vegetables, prepared in a way that leaves you feeling abundant. Whisk together 1/3 cup of the remaining pineapple juice, lime juice, and salt. Marinate the chicken in the liquid in a large plastic bag in the refrigerator for 1 to 1.5 hours. additional coconut oil to the skillet. 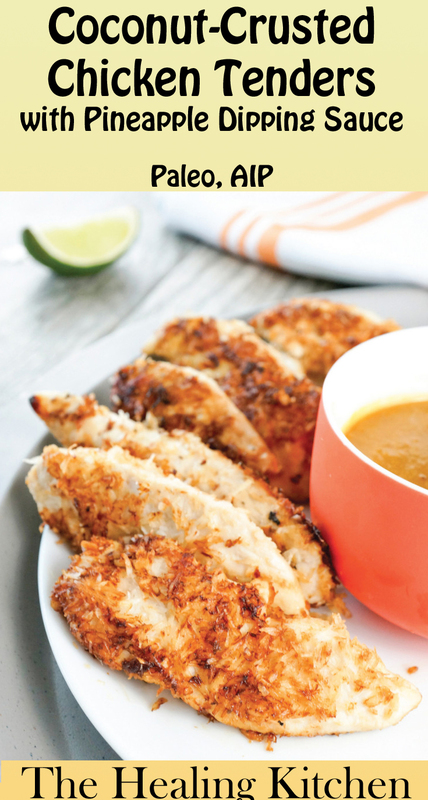 Make the dipping sauce up to 4 days in advance and store in the refrigerator until ready to use. Once cool, store in a sealed glass container in the refrigerator for up to 3 days. 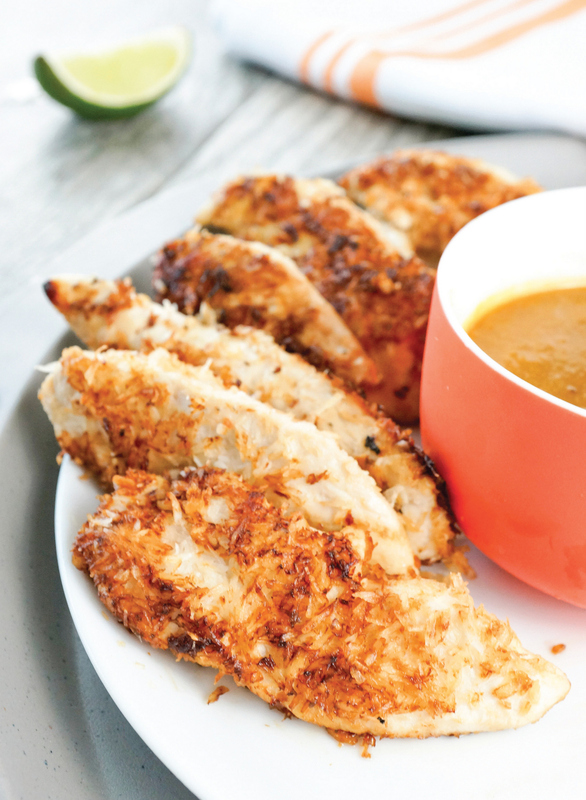 To reheat, place the chicken tenders on a broiler rack and broil for 2 to 3 minutes, until warm and crispy. The winner was chosen with a random number generator on 12/18/2015. Congratulations to Vicky! If you didn't win, don't despair. The book is reasonably priced and worth every penny. You can purchase a copy here. It's become a tradition on my blog to host giveaways of my favorite books, and entering to win is easy. Just comment on this post that you want to win. That's it! If you want to follow me on Facebook, Instagram, iTunes, Pinterest, and/or Email, you'll get all of my tips for autoimmune healing. But it's not required at all. Since I love all my readers around the globe, this giveaway is open to anyone in the world. Good luck! The winner will be randomly chosen on December 18, 2015. And if you don't want to wait, you can buy a copy now. Disclaimer: I was given a review copy of the book as well as a copy to give away, with no obligation. I'm 100% honest in my opinions. If I didn't love this book, I wouldn't have written the review, nor hosted the giveaway. As proof, I'm putting my money where my mouth is; this book is heavy! While the book was donated, I'm paying the shipping, and I'll ship anywhere in the world that the winner lives.